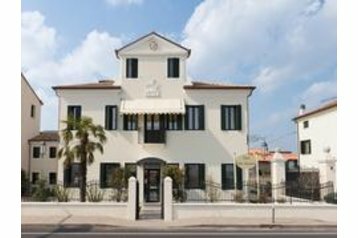 Hotel Villa Gasparini is located along the Riviera del Brenta, between the historical cities of Padua and Venice (bus stop and boat stop near the hotel). 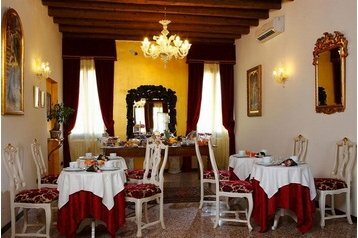 The hotel was built in the 18th century by the ancestors of the owners, the noble Venetian family of the Gasparinis. The “Palazzetto” (literally 'little palace'), which used to be a noble summer mansion in the past, was renovated and converted into a hotel in 2006. Renovation works were carried out with the objective of maintaining the true spirit of its glorious past and the charm of its family ambiance. Today the hotel can offer 15 rooms, each of them representing a perfect combination of Venetian classicism and modern comforts: the ideal place to spend some quality time, relax and enjoy Italian art. The term Riviera del Brenta refers to the area stretched along the Brenta river, the waterway connecting Padua and Venice. A number of small towns and villages are scattered across the Riviera, surrounded by beautiful scenery and the many ancient villas with their breath-taking parks. The area is also known for the delicious food (fish dishes in particular) and wines served in its restaurants and trattorias, as well as for its shoemaking tradition and the great number of company stores where it is possible to buy top-quality products at a very competitive price. Travel around and discover its stunning beauty by car, by bus, by bike or by boat: the choice is up to you. Dolo, rodinný hotel na brehu rieky Brenta. V hoteli / areáli sa nachádza jedáleň, internetové pripojenie, požičovňa bicyklov, záhrada. Parkovisko - strážené, platené. Autobus 50m. Letisko (Aeroporto Marco Polo) 25km. Dolo - centrum 1km.